Mission: To bring together the Christian community in a spirit of unity during a focused 40-day campaign of prayer and peaceful activism, to seek God’s favor to turn hearts and minds from a culture of death to a culture of life. It is a peaceful and educational presence. Those who are called to stand witness send a powerful message to the community about the tragic realities of abortion and euthanasia/assisted suicide. 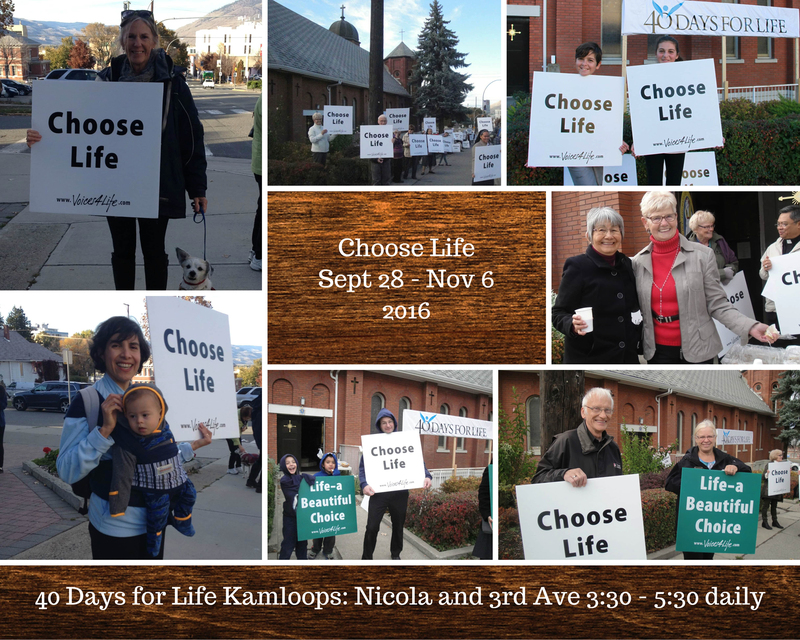 The 40-days for Life community based campaign tracks Biblical history, where God used 40-day periods to transform individuals, communities … and the entire world. From Noah in the flood to Moses on the mountain to the disciples after Christ’s resurrection, it is clear that God sees the transformative value of His people accepting and meeting a 40-day challenge.